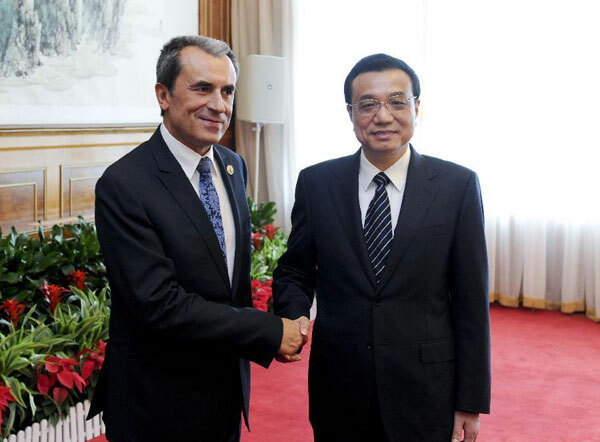 Brief：Chinese Premier Li Keqiang meets with Bulgarian Prime Minister Plamen Oresharski in Dalian. 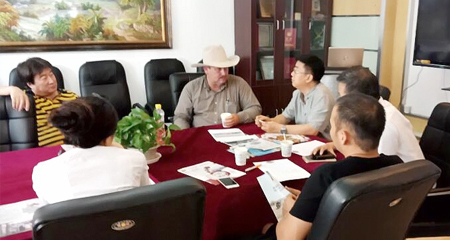 Oresharski welcomed more Chinese companies to invest in Bulgaria. Chinese Premier Li Keqiang and Bulgarian Prime Minister Plamen Oresharski vowed to upgrade bilateral relations in their meeting in Dalian in Northeast China's Liaoning province on Tuesday. China and Bulgaria are traditional friends and good partners with mutual trust and reciprocal cooperation, Li said. He promised China would work with Bulgaria to strengthen high-level exchanges, carry out closer coordination and cooperation on international affairs, expand trade and economic cooperation, and deepen cultural exchanges, so as to comprehensively upgrade the bilateral ties. Li added that China is willing to discuss new concepts and ways of cooperation with all central and eastern European countries including Bulgaria, and increase their mutual investment. Oresharski echoed Li, saying Bulgaria and China share broad prospects for cooperation. He said Bulgaria wants to learn from China's experience of national development, and further deepen bilateral cooperation. He welcomed more Chinese companies to invest in Bulgaria and pledged to promote Bulgaria-China relations, and the relationship between central and eastern European countries and China.